Sleeping under the stars, stretched out inside of a mummy bag, is one of the best parts of any true road trip. At the same time, slipping in a night of luxury at the Hotel Monaco is equally delightful. What surprised me most about being on the road for six weeks this summer was how at home I felt living out of a backpack, washing my clothes in random laundromats, and wandering the Western U.S. like a nomad. However, even the comfiest of sleeping bags doesn’t compare to a huge, heavenly bed. After hearing my friend Rebecca rave about Kimpton Hotels again and again, I decided it was time to try one for ourselves. Passing through Salt Lake City seemed like the perfect opportunity, so we booked a night at the Hotel Monaco. Housed in a former bank, this boutique hotel impressed us from the moment we set foot on the property. We were greeted by friendly staff, who promptly whisked our truck into the valet parkade while ushering us into their stylish, art deco-inspired lobby. 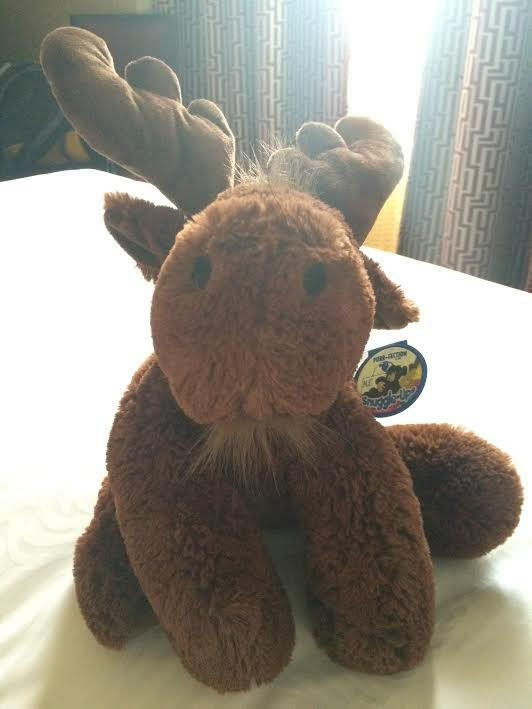 A seamless check-in process had us quickly in our spacious and stunningly appointed room, complete with a welcoming bottle of chilled bubbly and an antlered “buddy” on the bed. 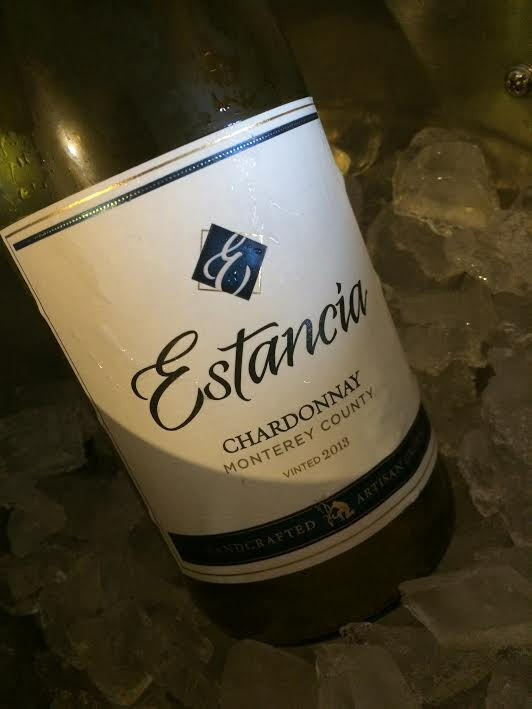 We arrived just in time for the hotel’s daily complimentary happy hour, featuring a selection of specially-chosen wines. 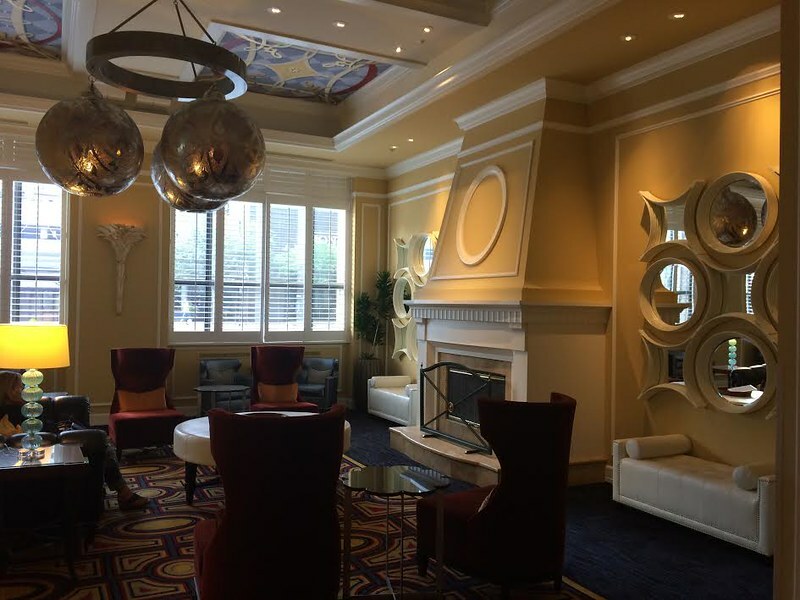 Hotel Monaco is located directly in the midst of the hustle and bustle of downtown Salt Lake City, so everything we wanted to see and do was literally at our fingertips. We were able to stroll the sidewalks, explore nearby Temple Square, and grab a memorable Vietnamese fusion meal at Pleiku. Our Kimpton experience was, in a word, outstanding. What kicked it up a notch for us was becoming Kimpton Karma Rewards members: it’s free and offers you complimentary wifi and a $10 mini bar credit. Mini bars in Utah don’t feature alcoholic beverages, so I was only more than happy to spend my $10 on Pringles potato chips and peanut M&M’s! And my favourite feature? Kimpton hotels are genuinely pooch-friendly, so I’m happy to know that, next time we stay, Jordy can come with us! To learn more about the Hotel Monaco, visit their website or follow Kimpton Hotels on Twitter. I was not paid or asked to write this post. My thoughts, views and opinions are entirely my own.